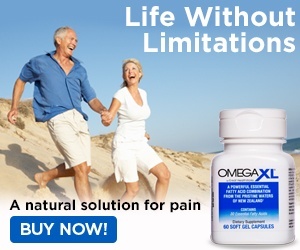 I have been using OmegaXL for more than three (3) months and my right knee does not feel any better. Also, I have been diagnosed with Multiple Sclerosis. I walk with a walker. My walking is not straight, I am in constant pain all over my body. I have headaches. I am applying for disability retirement and applying for a scooter. So I will no longer be working. Funds are low. Paying for OmegaXL is running into my rent. I have to cancel my order for OmegaXL. I apologize but it is not working for me. Thank you for your cooperation. Review #251377 is a subjective opinion of User251377.